If you are intrigued about the newest Microsoft devices that hit the streets not too long ago (Kin), you will certainly want to take a look at this app. 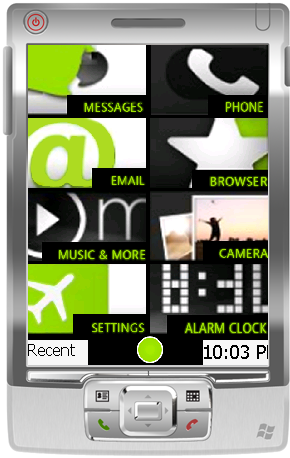 XDA member Jaxbot has just released a launcher skinned like that of the aforementioned device. KinLauncher has all the necessary features that you would normally require of a Today screen launcher without having to rely on other apps to perform its functions, therefore making it very lightweight and fast. The app is pre-configured to run on the HD2, but according to the dev, it should be possible to modify the configuration to run on other devices as well. You can find more information in the application thread.